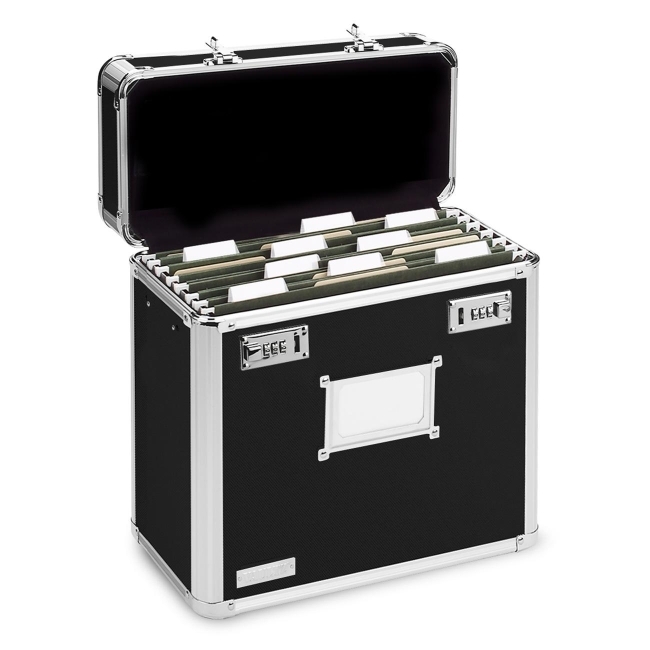 Locking file tote features double combination locks for convenient security. Internal rails are sized for hanging file folders. 7-1/4" depth and comfortable chrome handle make it very portable. Chrome steel corners and aluminum rails provide strength while rubber feet prevent surface scuffing. Tote is HIPAA-compliant to secure your important files for transport.